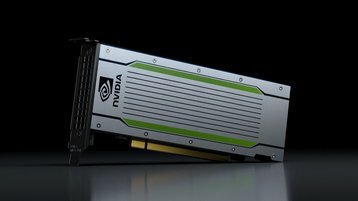 At its GPU Technology Conference (GTC) in Japan, Nvidia launched a new device for inference workloads - the Tesla T4. Featuring 320 Turing Tensor Cores and 2,560 CUDA cores, the company claims the 75 watt card offers 65 teraflops of peak performance for FP16, 130 teraflops for INT8 and 260 teraflops for INT4. Along with the hardware, the company announced the Nvidia TensorRT Hyperscale Inference Platform for data centers, which uses T4 GPUs for real-time inferencing. Server manufacturers including Cisco, Dell EMC, Fujitsu, HPE, IBM, Oracle and Supermicro plan to release servers with T4 GPU on board. The Tokyo conference was also the setting for several other Nvidia announcements, many of them related to its autonomous vehicles initiatives. Among the announcements was the news that NTT Group plans to use Nvidia’s AI platform based on Tensor Core GPUs as the common platform for its company-wide “corevo” AI initiative, and that Fujifilm will use a DGX-2 system for AI research.